“Grandma! 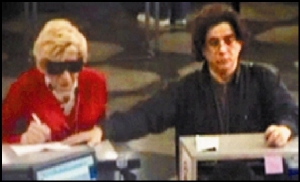 What big sunglasses you have!” In the fuzzy photo shown here, taken with a security camera at a department of motor vehicles’ office in New York City, the elderly woman is actually a man impersonating his deceased mother. Thomas Parkin (shown in a wig and big sunglasses) defrauded the U.S. government out of more than $100,000 by stealing his mother’s identity after she died. Parkin’s accomplice, the man to the right in the photo, posed as a helpful nephew. 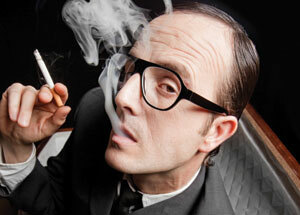 Death can be big business for fraudsters. Imagine the societal consequences if theft of decedents’ identities becomes mainstream. A caregiver, entrusted with financial oversight for an ailing loved one or client, could obtain and use that person’s identification for illicit purposes. Or a physician could use a deceased physician’s SSN and then bill insurance companies for services never rendered to the decedent’s former patients. These actual cases, playing out across the globe, often remain under the radar until it’s too late and damage has been done. Using a decedent’s SSN is really nothing more than an emerging form of identity theft. The “2010 Report to the Nations on Occupational Fraud and Abuse” has gone global.